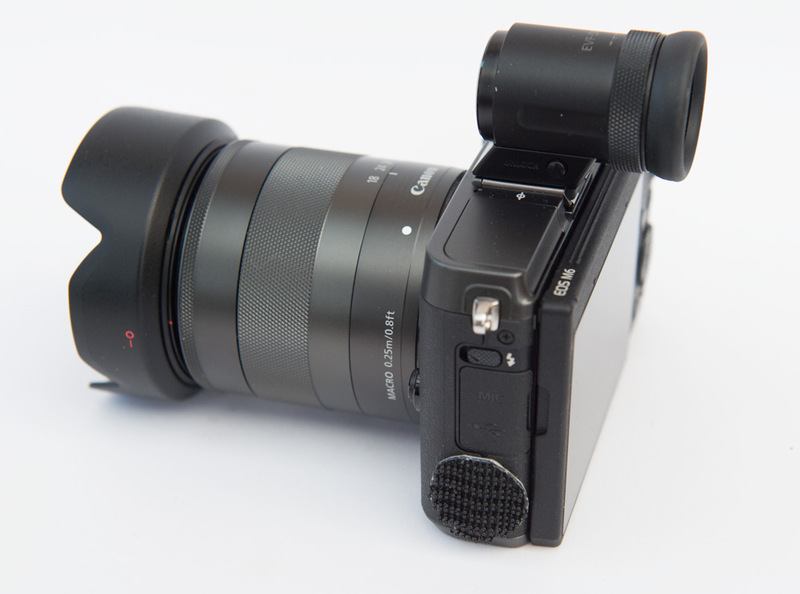 The internal mic on the Canon Eos M6 is a bit ropey. 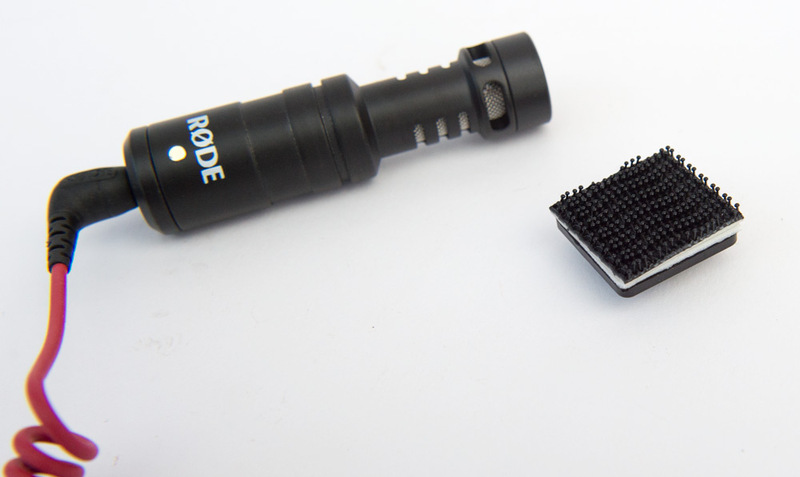 Adding the Rode Videomicro makes a big difference for not too much of an outlay. 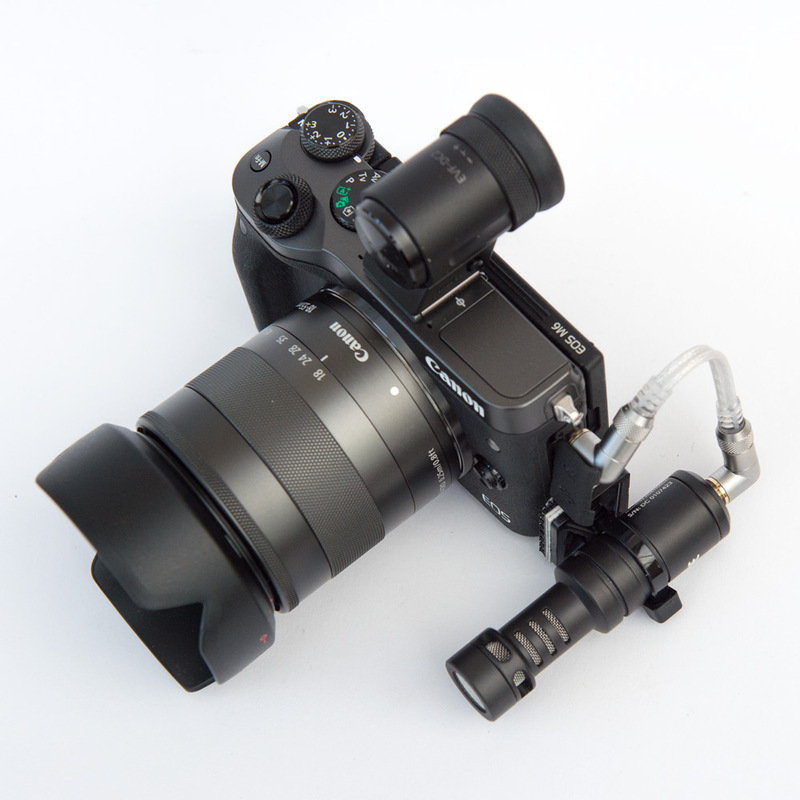 But how to fasten it to the camera when the hot shoe is filled with viewfinder? 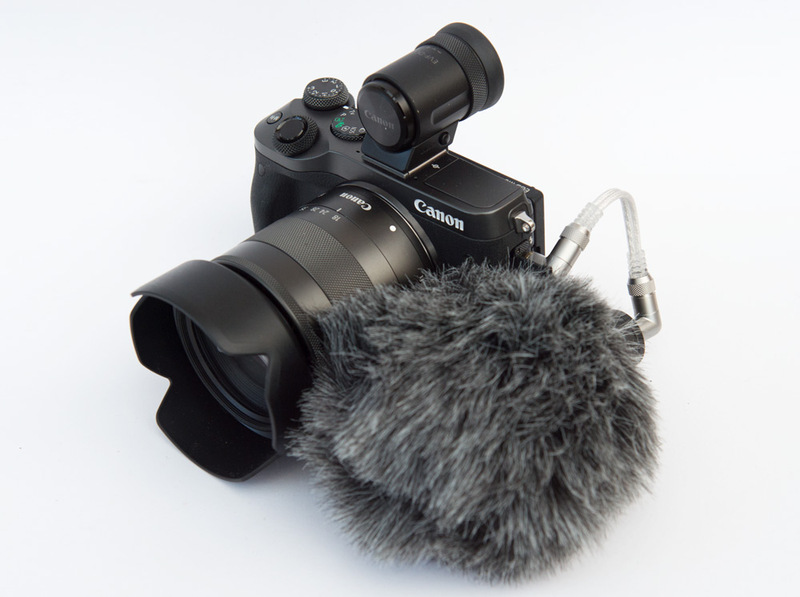 As the mic will be close to the camera I’ve decided to use a shorter cable – 3.5mm stereo plugs with 100mm long cable. 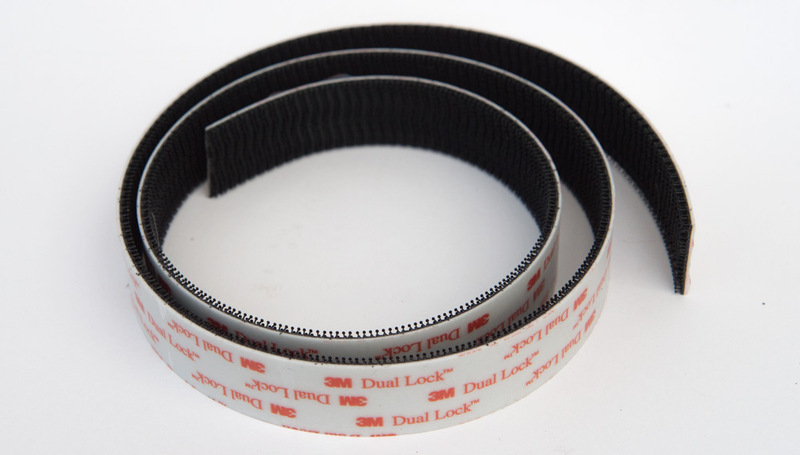 I also bought a length of 3M Dual Lock – a sort of updated sticky back Velcro. I bought a pack of self-adhesive cable tie blocks, you only need one. I filed the top platform with a gentle curve to match the curve of the mic. I cut a square of Dual Lock and fastened it to the underside of the cable block, sticky surface to sticky surface. The mic then fitted snuggly onto the top of the cable tie block and I cable-tied it into place. This was the only stage that I was uneasy about, I fixed a small circle of Dual Lock to the side of the camera underneath the microphone socket. I was only worried as it was a semi-permanent mod. The pad can be pulled off and the glue removed with an alcohol swab but it is a bit of an effort. The result? 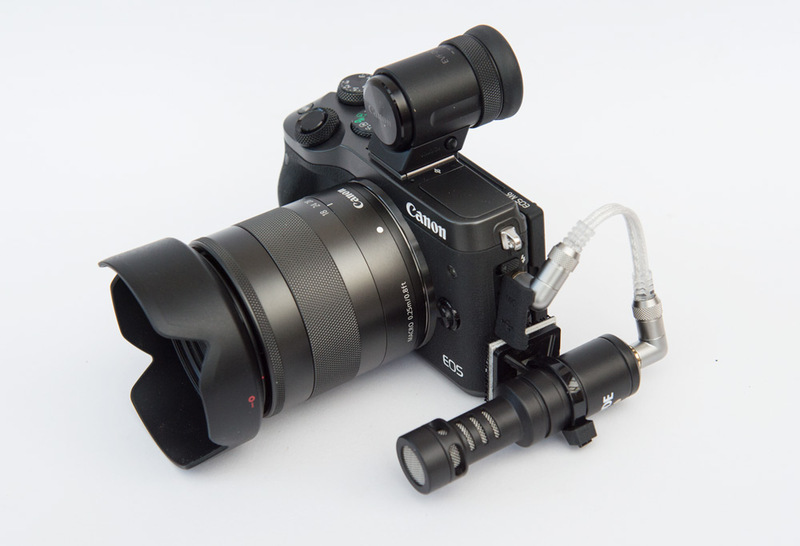 The mic plugs in and then fits on to the camera via the Dual Lock. The dead cat fits on nicely without obstructing the lens. 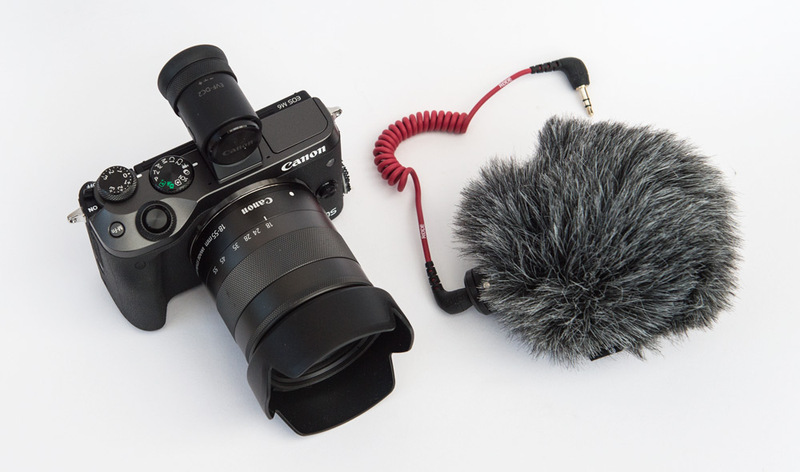 The sound quality is loads better than from the internal microphones and everything is kept self-contained and neat. Sorted.